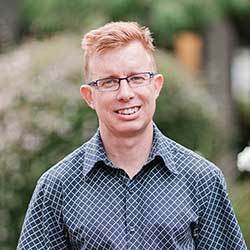 Michael Bird is a Lecturer in Theology at Ridley College. Michael is the author of a number of books, including Evangelical Theology: A Biblical and Systematic Introduction and What Christians Ought to Believe: An Introduction to Christian Doctrine Through the Apostles’ Creed. He and his wife and have four children, and live in Melbourne, Australia. You can follow him on Twitter. Tony Merida talks with New Testament scholar Michael Bird about how the best book on church planting is the Bible.